Playdead’s Inside is an atmospheric puzzle game by Playdead. The game is divided up into several sections that catalogue a boy’s journey into a dark and disturbing situation, and your job is to solve puzzles. The game allows you to load up a variety of areas once you have reached them. You can even load to a previous area to find a collectible and return to a later point in the game to find the collectible still marked as being found. The game features gorgeous art and animations, devious puzzle design and a pitch-black sense of humor. The story and the gameplay are both beautifully crafted. If you get stuck in the game, check out the video walkthrough and gameplay for the game. 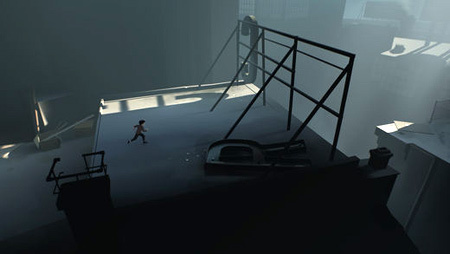 This entry was posted in Android Games, iOS Games, Mobile Games, Walkthrough and tagged Playdead's Inside Cheats, Playdead's Inside Gameplay, Playdead's Inside Guide, Playdead's Inside Hints, Playdead's Inside Review, Playdead's Inside Solutions, Playdead's Inside Strategy, Playdead's Inside Tips, Playdead's Inside Walkthrough by Marvin. Bookmark the permalink.